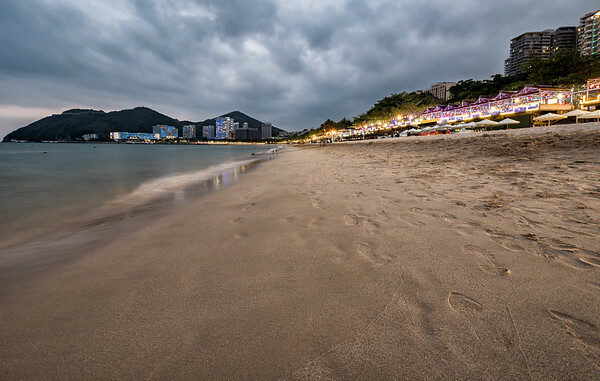 The beautiful beach in Sanya, Hainan province in China. 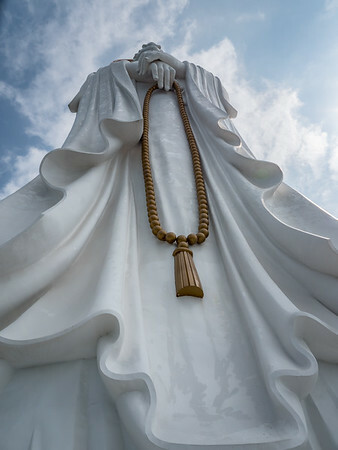 I took this at the foot of the 108 meter Guanyin of Nanshan statue near Sanya, China. It is the 14th tallest statue in the world and the tallest statue of Guanyin in the world. 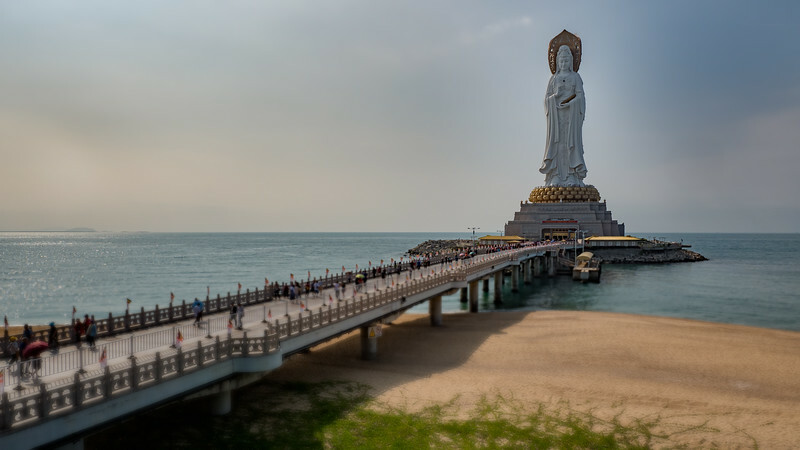 The massive Guanyin statue in Hainan is over 100 metres tall and took 6 years to build. 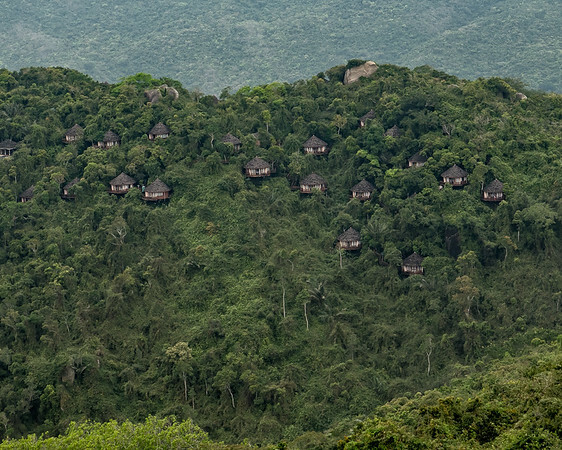 Check out these cool little hotel rooms in Yalong Bay Tropical Paradise Forest Park, just outside of Sanya in Hainan Province, China. Previous trips to my wife's hometown were only a couple of days so I did not have any time for photography. 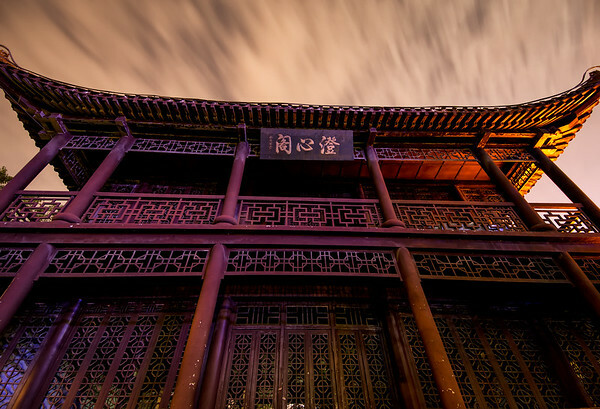 However, this past year we took an extended trip to China for a month and I had some time to explore. I found a number of nice parks, this a building in one of the parks. 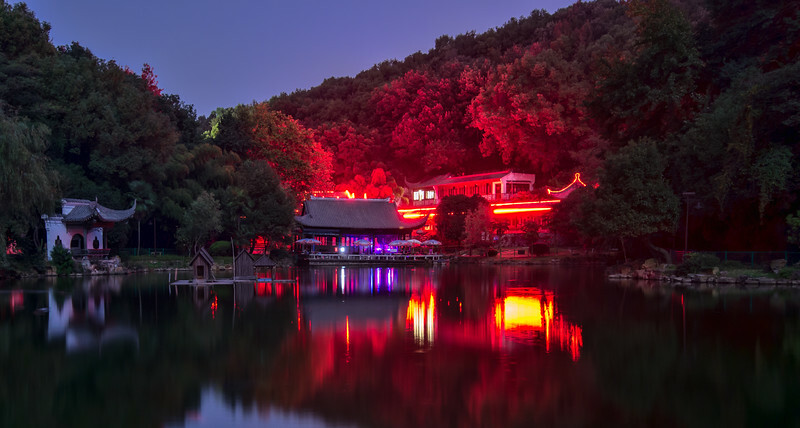 The buildings across this lake were lined with red fluorescent bulbs that lit the surrounding trees with an eerie red glow. 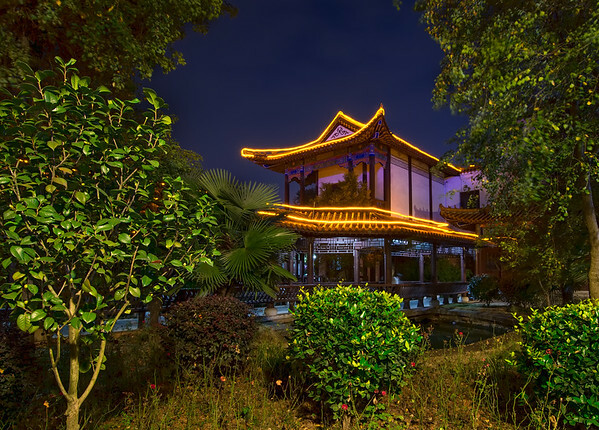 My wifes hometown is Huangshi in China. I recently stayed there for a month so she had some time to visit relatives. This is a park not far from where we stayed, nice place for an evening walk. 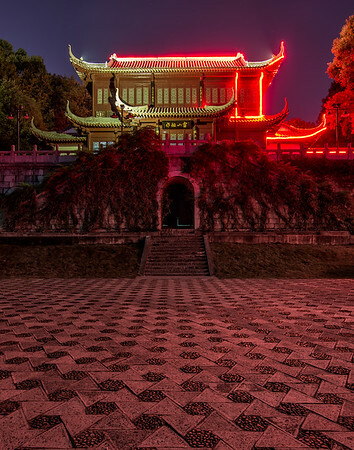 This is a building I found in a Huangshi park. This photo was taken at night but the lights of the city lit the sky and building so I could get a good shot. 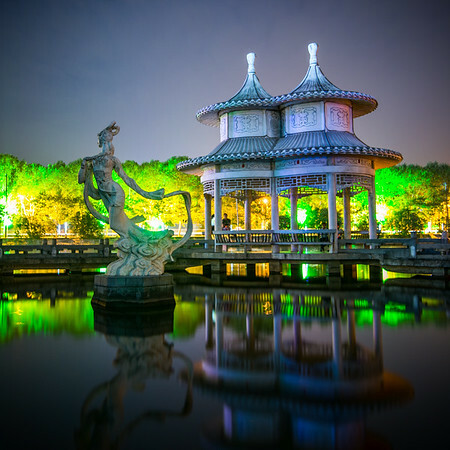 There is a cool part of a park in Huangshi China where walkways have been built on the lake. This is one of the gazebos that line the walkway. This family stayed in the same tent with me the last night of my 5 day trek. They were planning on doing the entire 150 km hike with their 1 year old and 4 year old! They were planning on doing it in 7 days. It was amazing the different people I met on the trail, there were dozens in their 60s and even some in their 70s doing the hike. I left the wife and kids at home for the hike so I really admire them being able to do it together. 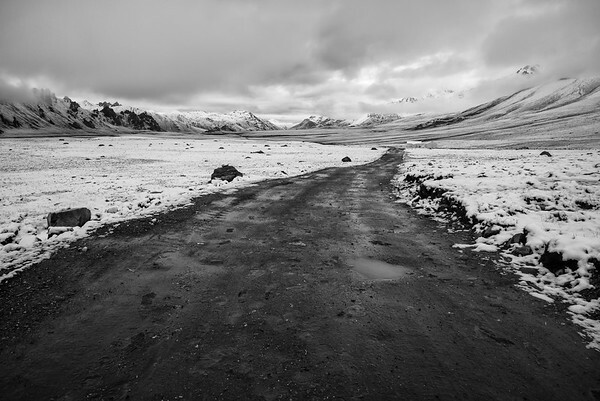 I came across these rock piles along the roadside early in the morning covered in snow from the night before. 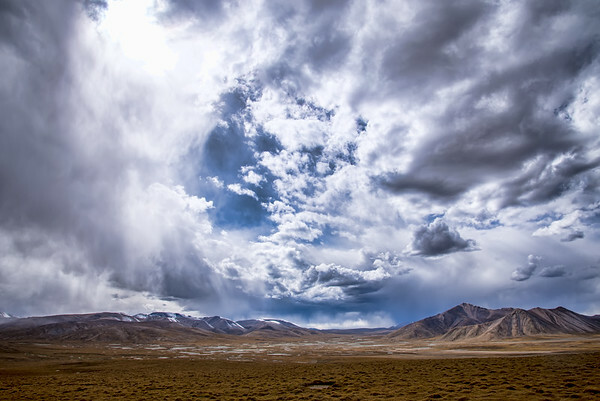 The weather at 4600m can change dramatically and quickly. One night I went to bed after hiking in the warm sun all day, the next day I woke up to find a light blanket of snow covering the ground. Made for a nice change of scenery the last day of my hike. I had been hiking for days and the weather had been great but on the afternoon of the fourth day clouds started to form over the mountains. This photo was taken just as the clouds were rolling in. 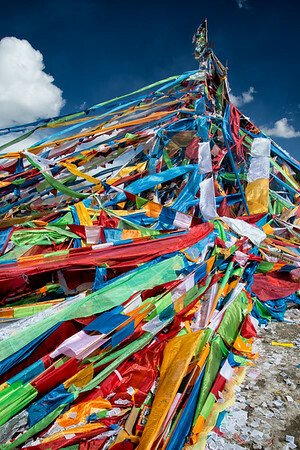 There is just something about colorful Tibetan Prayer flags that make me happy. It is always a joy reaching the top of a mountain and see the flags in the wind, flapping prayers for those who have made the same trek I am on. The beauty of the landscape was was lost on me at the time when I took this photo. 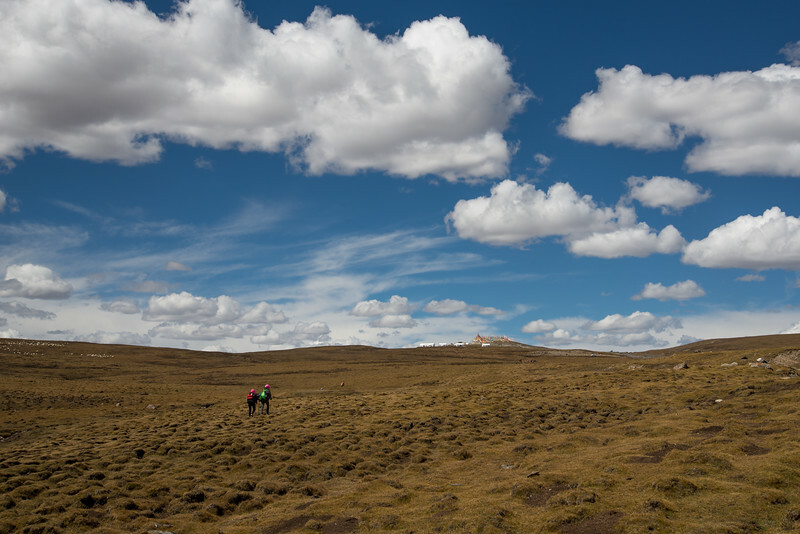 I had been slowly hiking uphill all day and had reached 4600 meters. The last two tents stores were out of food so I was hungry and did not feel like I had enough calories to make it to the tents at the peak in the distance. Also, I didn't know if they would have any food even if I made it. However, huffing and puffing from the altitude, I made it to the tents and was revived by vegetable filled steamed buns. There were the best steamed buns I had ever eaten! 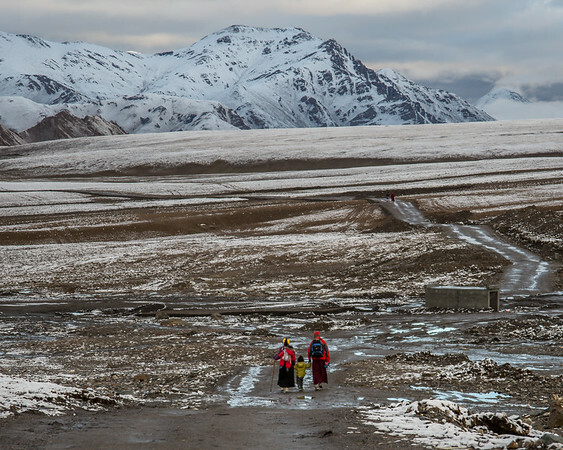 This past September I went on a 150 km hike in Qinghai province, China around Amne Machen. The altitude on the hike ranged between 3500m and 4600m, this photo was taken at the 4600m point. It was a long day of hiking and I did not expect the altitude to bother me as much as I did. I did not realize how much a difference 500m could make however I was fine at 4000m but once I got to around 4500m I got short of breath and had a pretty bad headache. However, it was worth it for this view. 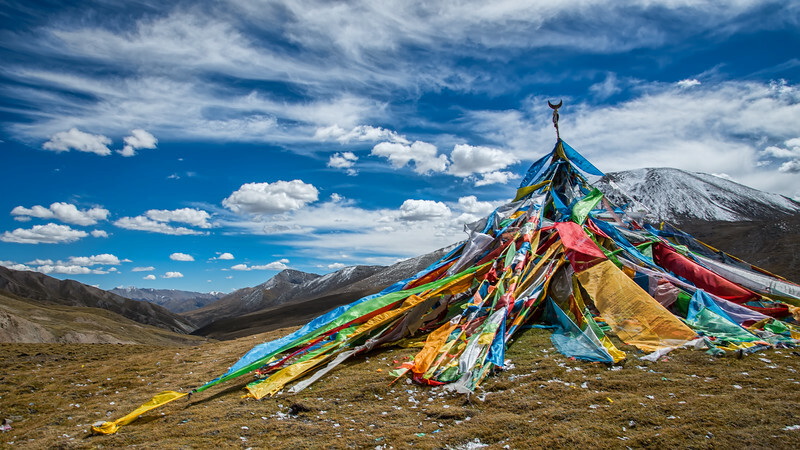 Thanks to Adventures in Tibet (http://www.adventuresintibet.com/) for all the advice on how to approach the trek, it really helped.